The new version of iOS has been launched and it is going to bring lots of changes to your existing iPhone and iPads. 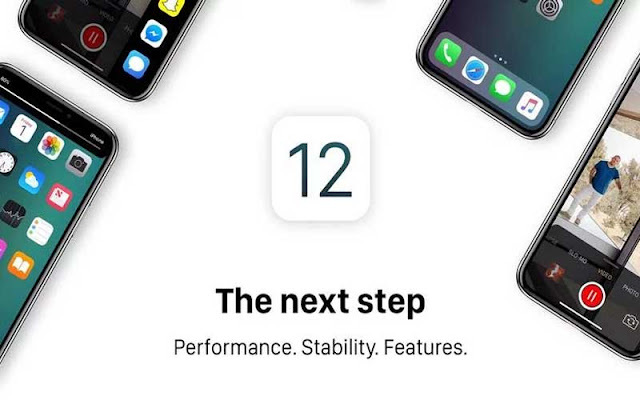 All the top features of iOS 12 have been talked much and today in this article we are going to talk about the 7 features of iOS 12 which Apple didn’t talk on the launch event. These features can be handy in your day to day usage of iPhone and iPad. Figuring what's draining the battery on any mobile device is something we all want to know more about. With iOS 12, open the Settings app and select Battery and you will have as much info as you can digest. New charts, breakdowns, and graphs show you exactly what was using your battery and, perhaps most importantly when it was used. iPhone X users who have trouble getting Face ID to work properly when wearing a hat, sunglasses, or something else that changes your overall appearance will gain the ability to register a second appearance. The new setting is found in Settings > Face ID & Passcode > Alternate appearance. Indeed, this same feature can be used to register the second face to an iPhone X to give a second person access to your device. Just keep in mind that if you want to remove the second appearance (or face) you will need to reset Face ID. Instead of manually turning Do Not Disturb on and off for a meeting or a movie, you can set DND to disable itself after an hour or when you leave your current location in iOS 12. Open Control Center and long-press or force touch the Do Not Disturb icon to display new DND options. Remember the good old days when you could force close an app with a simple swipe up? Those days are back, on the iPhone X at least. Instead of switching to multitasking view, long-pressing on an app's card, then force-closing it -- as of iOS 12 you only need to activate multitasking and then swipe up on any app's card to close it out. A new feature in iOS 12 will automatically install iOS updates on your device without requiring you to manually approve it. You can enable automatic updates in Settings > General > Software Updates > Automatic updates. The iPhone X gesture to access Control Center -- a swipe down from the top-right corner of the screen -- has made its way to the iPad. After installing iOS 12, you can no longer access Control Center on the iPad through the multitasking interface. Instead, swipe down from the top-right corner. For those who have two-factor authentication codes sent via SMS, iOS 12 will make the process of entering the six- or eight-digit code so much easier. Instead of having to copy and paste the code or quickly memorize it, a shortcut will show up on top of the keyboard when your device receives the code. Tap on the shortcut and the keyboard will autofill the code for you. It's pretty slick. Apple added a QR Code scanner to the camera app in iOS 11, and with iOS 12 the scanner gets its own shortcut in Control Center. You will need to add the shortcut in Settings > Control Center > Customize Controls and tap the green button next to Scan QR Code.